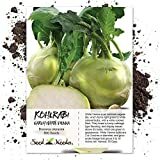 Kohlrabi, White Vienna Seed, Organic, NON-GMO, 25 seeds per package, Flavor is mild, sweet, turnip-like. 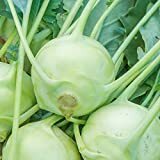 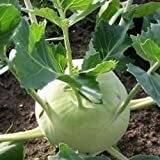 Kohlrabi seeds for sale – Easy plant to grow with edible leaves and stems, planting in early spring to summer (in cold area) autumn to winter in warmer area, better to buy seeds, seedling or plant. 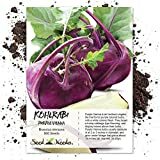 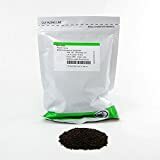 Growing information: annual plant, growing hardiness zone: 3-11, water needed – average to big amount, light conditions – full sun to partial shade, height: 10-40cm, 0.3-1.3 feet. 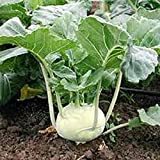 Sowing in autumn or spring in in hot climate, and in cold climate in the spring, sowing in rich, moist well drained soil, prefer full sun to partial shade.